Official information on the ultimate luxury houseboating adventure at Lake Powell with jet skis, boats, and premier watercraft services! 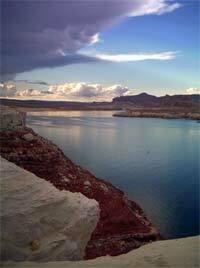 A 1-14 day vacation on Utah | Arizona canyon country awaits at beautiful Lake Powell. Enjoy a 75’ houseboat rental ready to hit the open water, stocked with your all your requests. We provide the competition wakeboard - water ski boat rental or charter, jet ski rental, waverunner rentals, stand up paddle boards, water trampoline, flyboard water jet packs, or (PWC) personal watercraft rentals on your trip to Lake Powell. Invert Sports also offers whatever staff you need to make your vacation as easy and memorable as possible on any Lake Powell vacation package we offer. Lake Powell National Recreation Area and Park is considered by many to be the ultimate water sports, fishing, boat rental, and hiking vacation. Lake Powell is one houseboating lake everyone must visit. Known also as Glen Canyon National Recreation Area; it is 186 miles long with a shore line of 1,986 miles. Lake Powell's crystal clear water and red sand stone rock make it the perfect place for all your outdoor activities. Lake Powell has countless canyons where you can fine smooth water to wakeboard, wake skate, wake surf, knee board, tube, air chair, water ski and more; even on the windy days, you can find a cove where the water is glass. 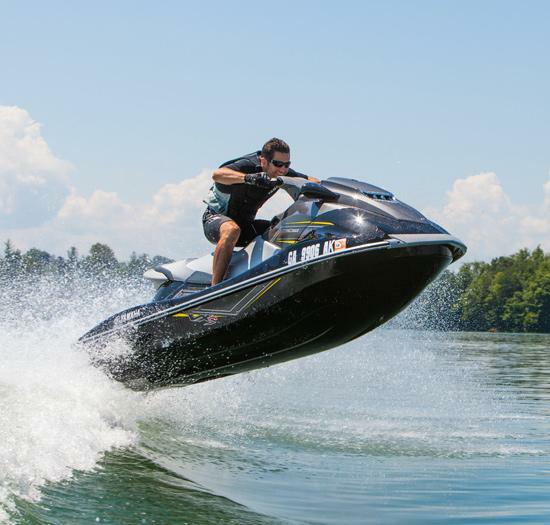 Offering the best and newest Lake Powell jet ski rentals with three models to choose from for all skill type riders. Whether you decide to camp on the sandy beaches of Lake Powell, or cruise in the comfort of a houseboat rental Invert Sports will be there to make sure you catch the ride of you life at Lake Powell. 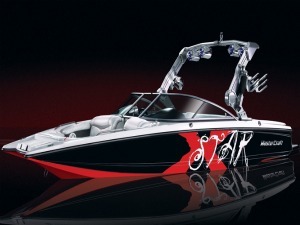 Rent one of our competition water sport boats at all Lake Powell marinas, we deliver! Or go full service with our guided X-45, X-35, X-Star, or X-30 MasterCraft guided boat charter, and Lake Powell boat tour service where we provide everything! Destinations at Lake Powell include Bullfrog marina in Bullfrog, Utah; Antelope Point Marina in Page, Arizona; Wahweap Marina in Page, Arizona; Hite Marina, Halls Crossing Marina, State Line Dock, and Dangling Rope Marina. Enjoy our guided boat tours, Lake Powell houseboat rentals, and water sport adventures at Lake Powell.